They are BACK! GRU, The Minions and more! 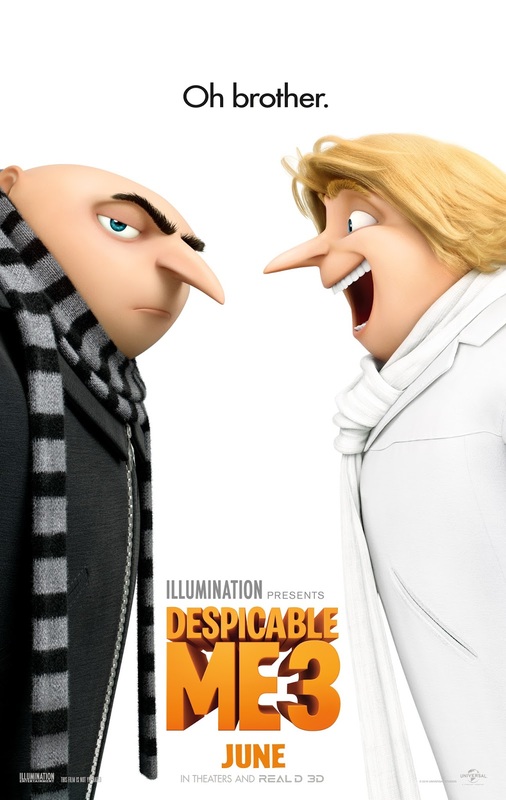 They are back in Despicable Me 3! I am stoked to tell you about it! Illumination, who brought moviegoers Despicable Me and the biggest animated hits of 2013 and 2015, Despicable Me 2 and Minions, continues the story of Gru, Lucy, their adorable daughters—Margo, Edith and Agnes—and the Minions in Despicable Me 3. I am glad that they are back! I am also glad there is a new villain that we are going to learn about! This looks like it is going to be HILARIOUS! The fact we are also going to meet the brother! I cannot wait! I am stoked to screen this movie with my 10 year old soon! Be sure to watch the trailer below to get excited yourself! This is going to be a BLAST for sure! DM3 is in theaters JUNE 30! Are you going to see it? I AM!! I CANNOT WAIT!! WIN IT: ONE reader is going to win their own Mini Music Mate! Characters vary! AND a $15 iTunes GC to purchase the new Despicable Me 3 soundtrack! Open to US mailing addresses only. Prizing and samples courtesy of Universal Pictures and Thinkway Toys. Giveaway ends on June 30. All entries will be verified. Enter below. Goodluck! My favorite character in these movies are all the minions! We love the Despicable Me movies. Our favorite are the Minions especially Stuart. We like Gru the best! My two girls love the minions they are so funny! We love minions, especially Stuart. Agnes!! She's so cute and loves unicorns. My family and I love the minions! Kevin is our favorite. I love the Minions! They're all so cute and loveable!